Georgia DMH Medical Director Offers a Formal Apology! Click here to read it. In Our Own Voice: African American Stories of Oppression, Survival and Recovery in Mental Health Systems. At state hospitals all across Massachusetts there is a terrible sight: row upon row of small concrete markers with only a number. These anonymous graves mark the resting place of our sisters and brothers - former patients who died at state hospitals - abandoned in life and death. 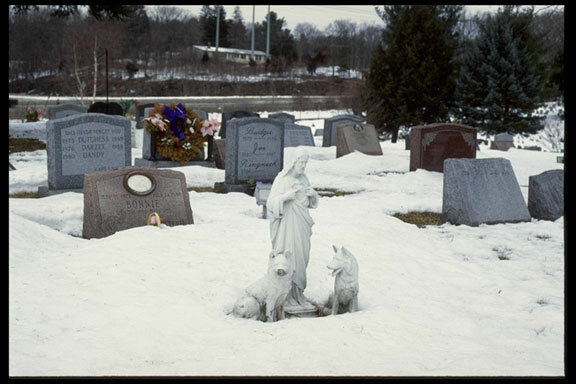 The photographs on the left show you a numbered grave marker from a state hospital and, next to it, a pet cemetery. We feel that the cemeteries where former patients are buried should be at least as dignified as a pet cemetery! Today ex-patients from state institutions in Massachusetts and our allies are leading the struggle to have cemeteries at state institutions restored and properly memorialized. We want proper names on the graves - not numbers. We want the cemeteries to have flowers, benches and a memorial commemorating the lives of the human beings who are buried there. 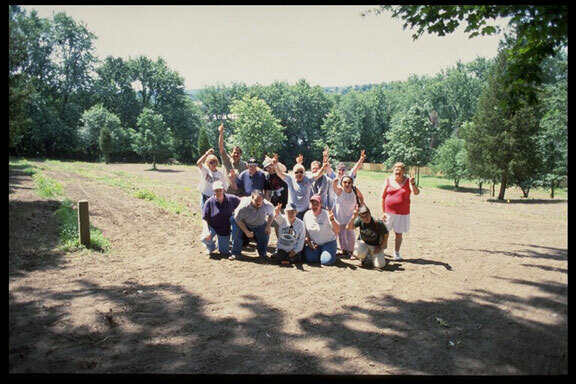 When we started this work in 1997, we discovered two abandoned and forgotten cemeteries at Danvers State Hospital. A total of 768 former patients are buried there. The picture on the right shows how the larger of the two cemeteries looked before we began our advocacy. The picture below it shows you what the cemeteries look like after three years of advocacy. 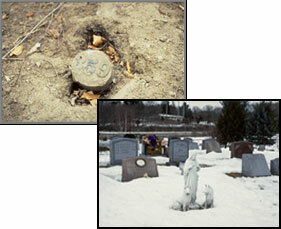 We have come a long way and look forward to placing over 350 individual grave markers with names this spring! 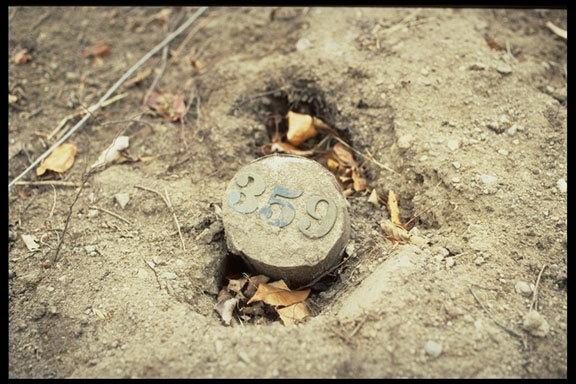 The second cemetery at Danvers State Hospital is the smaller of the two and contains 93 numbered markers. 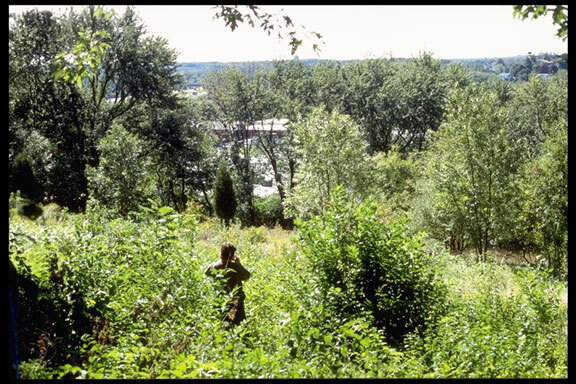 When we found this cemetery, landscapers estimated 39 years worth of overgrowth. Farmers working in the surrounding fields had tossed piles of large rocks into what looked like a briar patch but was actually a cemetery. On the left you can see a picture of the smaller cemetery before our advocacy and after our advocacy. 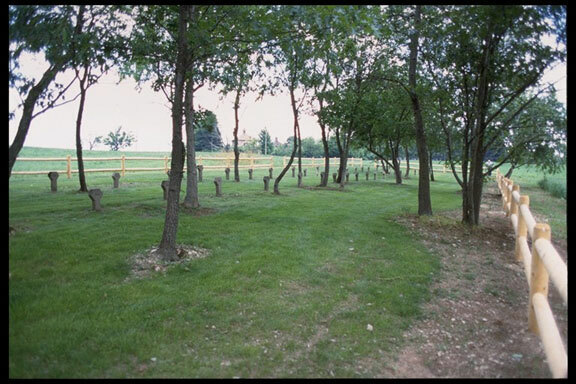 In the spring of 2002 we look forward to placing a wall of remembrance listing the names of the 93 people buried in the second cemetery at Danvers State Hospital. Advocacy works! Today there are state hospital cemetery memorial groups forming at Medfield State Hospital, Metropolitan State Hospital, Tewksbury Hospital, Boston State Hospital, Worcester State Hospital, Northampton State Hospital, and Grafton State Hospital. Within the pages of this website you can learn more about the issues related to advocating for state hospital cemetery restoration and how you can help.